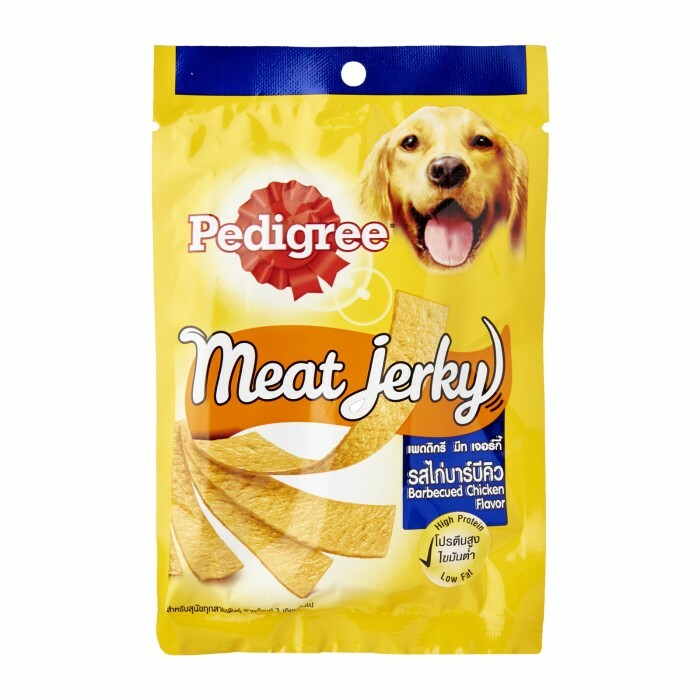 Pedigree meat jerky BBQ chicken snack for dog.Meaty jerky. 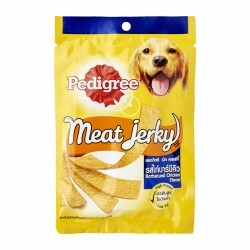 Irresistibly meaty. Share the moments of happiness and joy with your dog. Ingredients: Wheat gluten, chicken, poultry and poultry by product, glycerine, chicken liver meal, tapioca starch. Sugar, gelatin, mineral, propyleneglycol, iodised salt, soy oil, citric acid, flavour, food colouring, and preservatives.